When Sam came back home after a successful shopping trip, this was probably not the reaction she had been expecting. As she tried on the dress at home and asked her husband for his opinion on it, to her surprised he laughed out right. 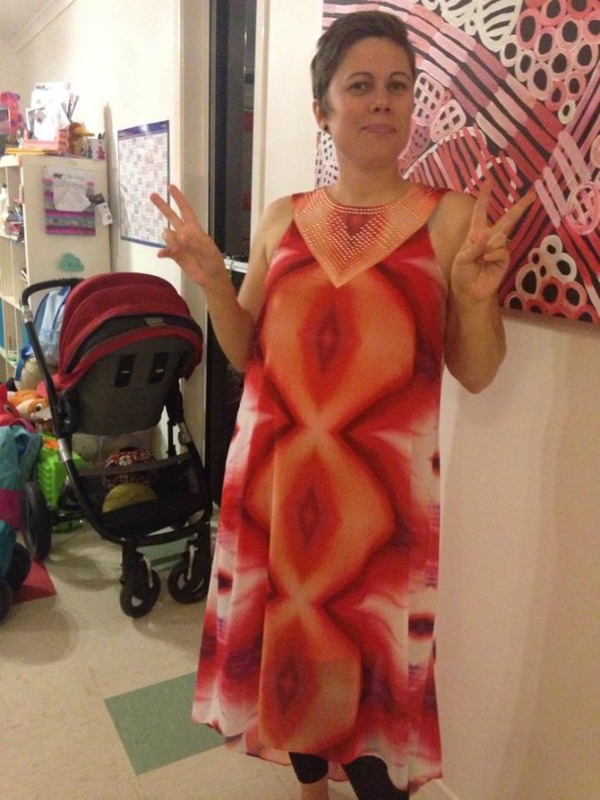 According to him, the dress looked like it had female genitalia all over it. Sam, who runs a successful blog, School Mum, took a picture and put it up on Facebook. And as she hashtags it, once you see it, you cannot unsee it. However, that isn't the main focus of this article. 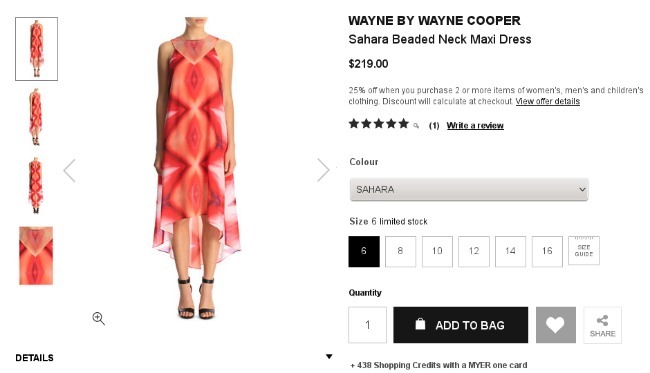 Here's the bit freaking us out: the dress costs $216. Which roughly converts to Rs, 10,114. If that is not the most outrageous thing you've ever heard, you must live a very interesting life indeed. After Sam realised she would not be able to wear the dress without inviting quite a bit of mirth, she returned it. 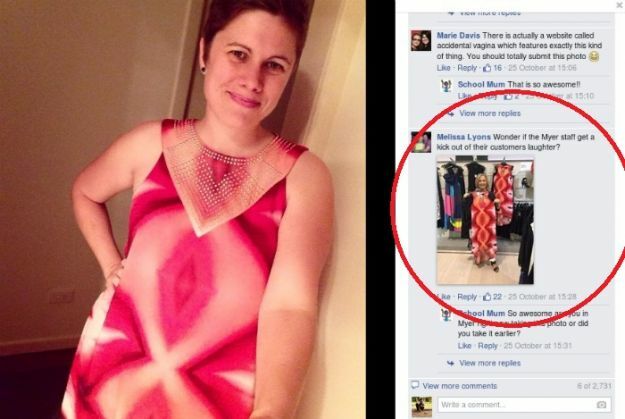 But after her picture received over 9k likes and 700 shares, she went and bought it back. This time, for a cancer awareness campaign. But let's go back and discuss the cost for a bit. Why does it cost so much? Does it come with a Bat-cape? Does it have secret superpowers? How can a dress that looks like that, cost so much? HOW? The internet might be losing its soul over #TheDress, but it's how much that dress costs that's going to haunt us tonight. In pictures: The reception that brought NaMo and Manmohan Singh together! READ NEXT >> In pictures: The reception that brought NaMo and Manmohan Singh together!